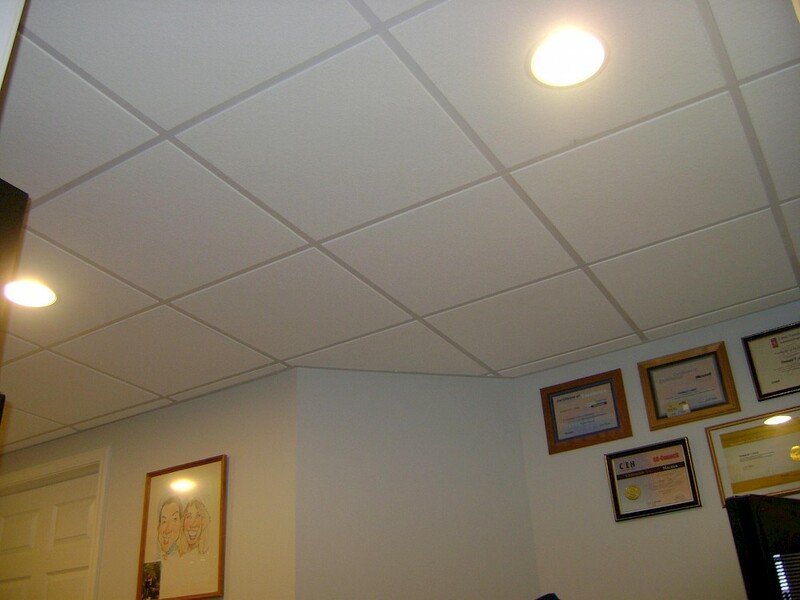 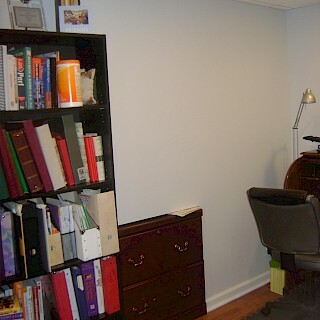 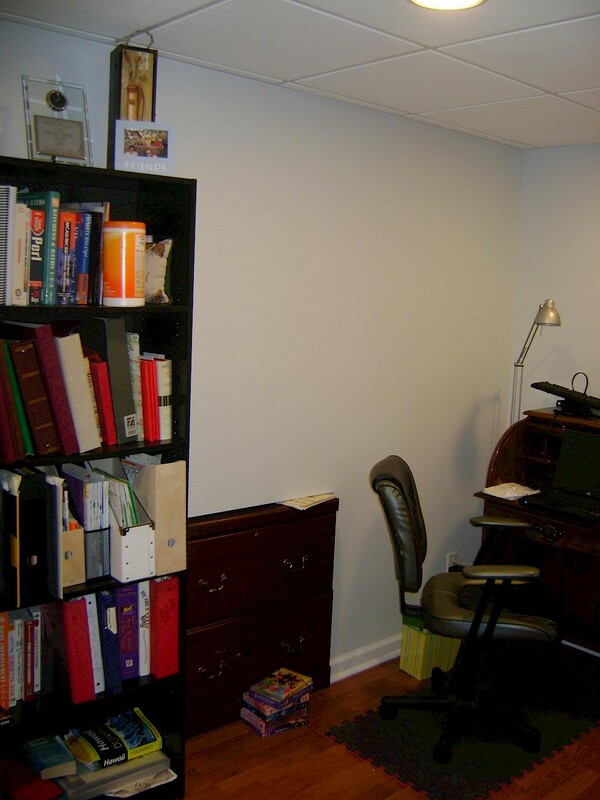 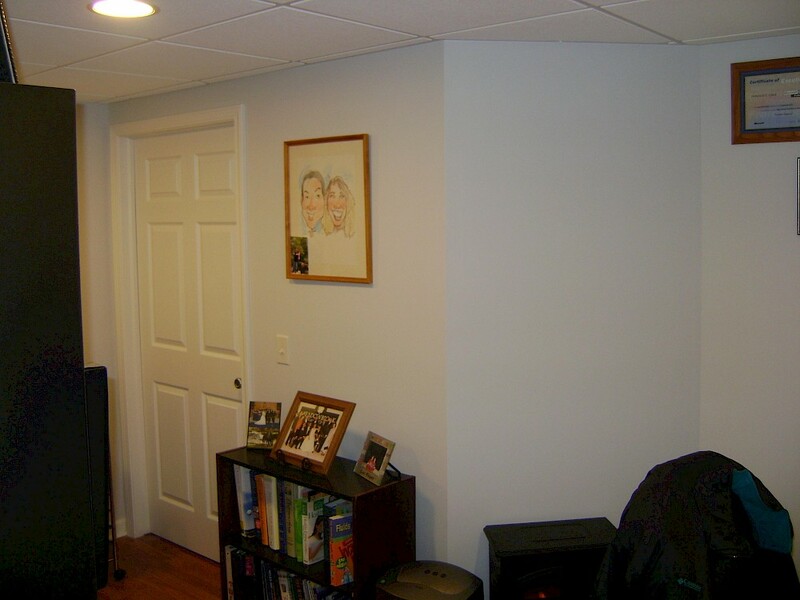 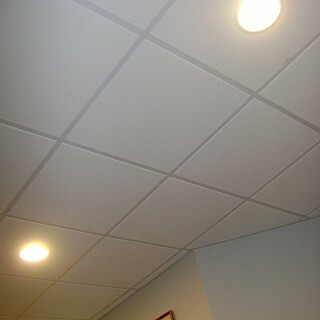 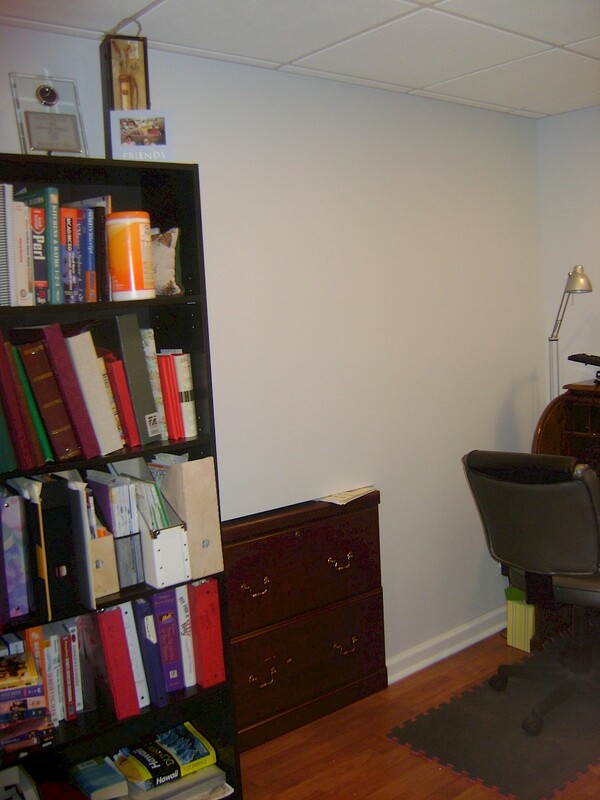 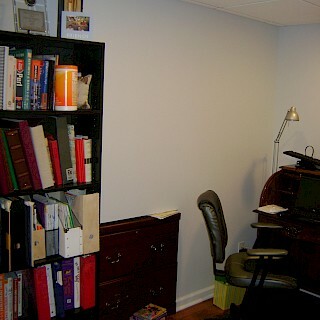 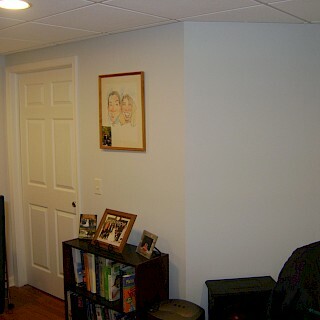 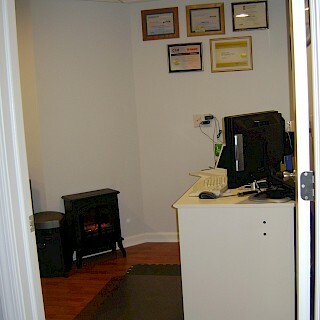 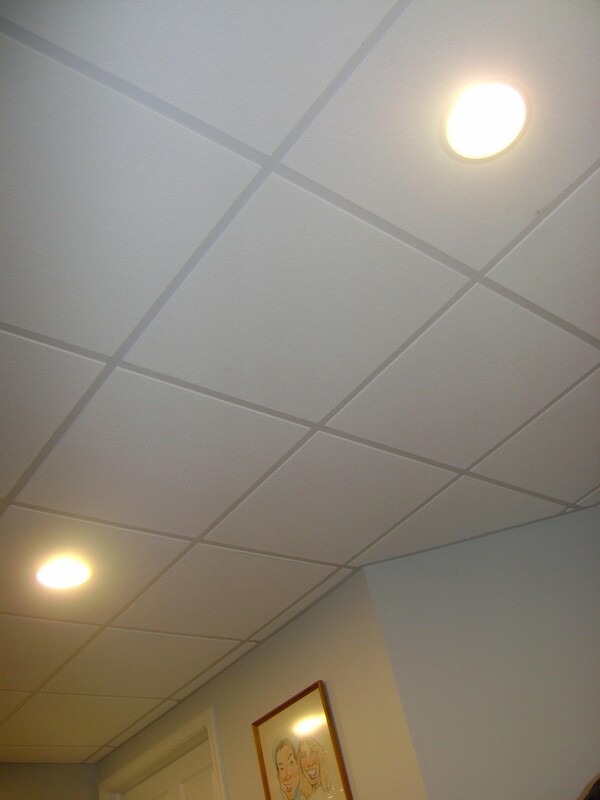 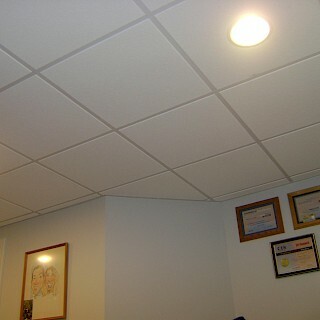 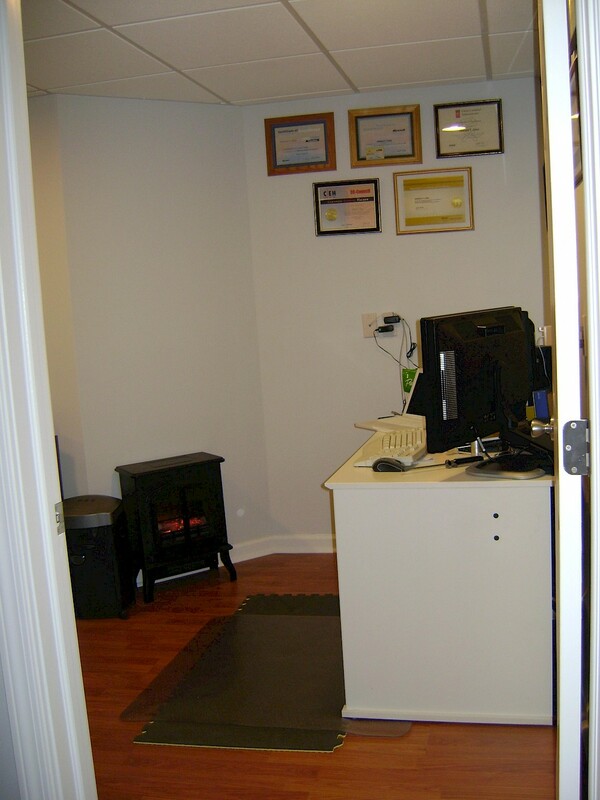 This office built into the basement of a Chelsea home was a quick job taking less than two weeks for Exemplar Carpentry. 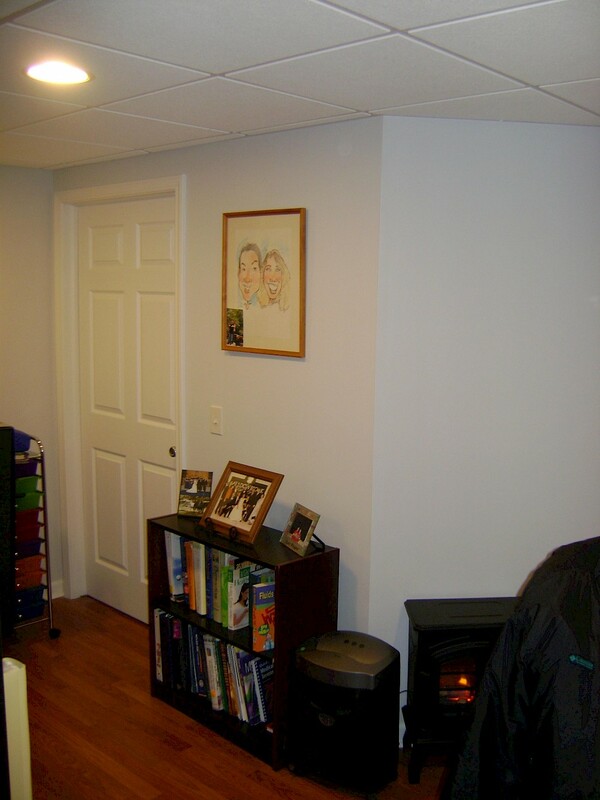 We did the framing and electrical first and followed that with the installation and finishing of the drywall. 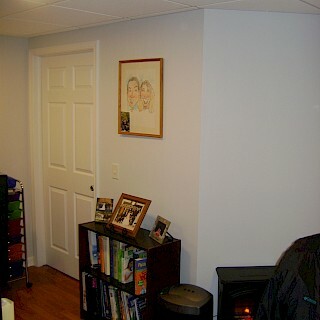 From there we painted and added a laminate flooring, suspended ceiling, doorway, and trim.